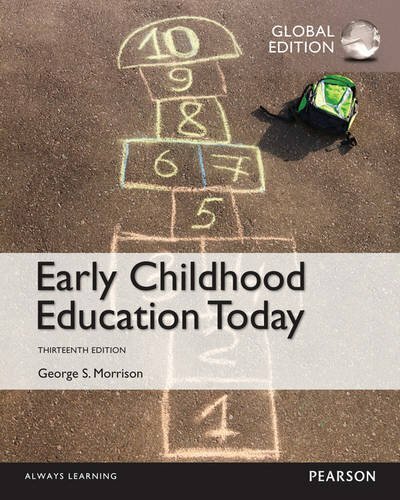 classroom, closing school readiness gaps, meeting the challenges of teacher accountability, integrating STEM subjects into the curriculum, providing for children's mental health, using technology to support learners, developing as a professional, and guiding children's behavior to promote personal responsibility.The new edition retains the engaging style that has made the book so popular and provides practical examples of authentic teaching practices used by master teachers around the country. Its strong coverage of development in the age-specific chapters and its emphasis on diversity make it the leading book in the field. Community," Dr. Morrison is a popular author, speaker, and presenter. He is Senior Contributing Editor for the "Public School Montessorian "and contributes his opinions and ideas to a wide range of publications. His speaking engagements and presentations focus on the future of early childhood education, the changing roles of early childhood teachers, and the influence of contemporary educational reforms, research, and legislation on teaching and learning. Dr. Morrison's professional and research interests include integrating best practices into faith-based practices; developing programs for young children and their families with an emphasis on readiness and learning; and the influences of families on children's development. He is also involved in providing technical assistance about graduate and undergraduate teacher education programs and early childhood practices to government agencies, university faculty, and private and public agencies in Thailand, Taiwan, and China.